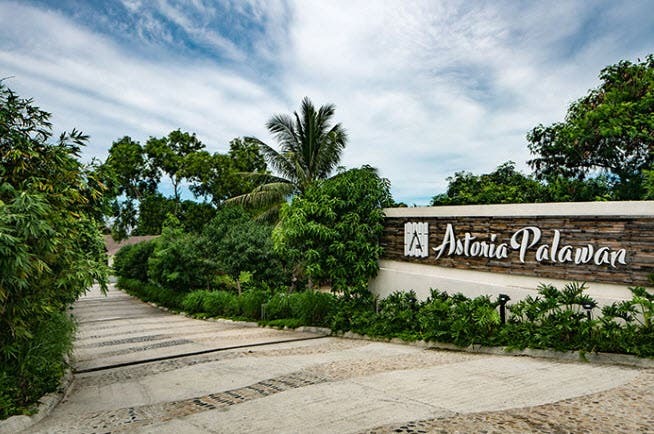 Astoria Hotels and Resorts shares its pride of being present in Philippines’ well-loved destinations as it made home in Boracay, Bohol, and now the latest addition to its growing portfoilo — Astoria Palawan. 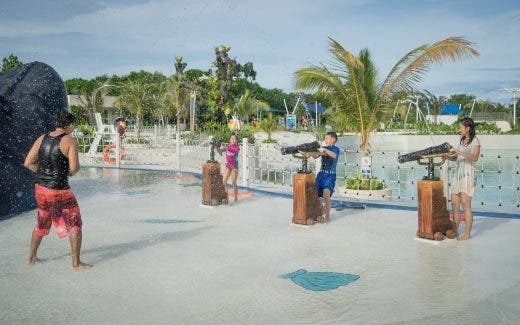 Waterpark by Astoria is dubbed as the newest playground in Palawan’s “Forest City”. 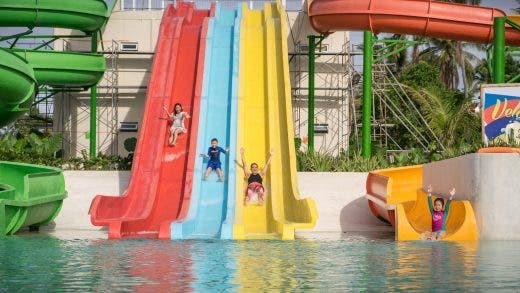 Astoria Palawan sits on a 5-hectare mango orchard with beachfront and mountain side views – making it truly a one-of-a-kind, unique resort destination. 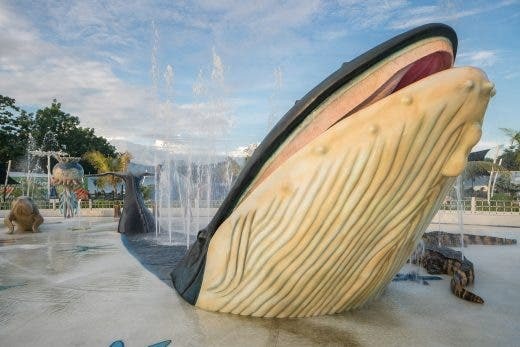 The Pod. 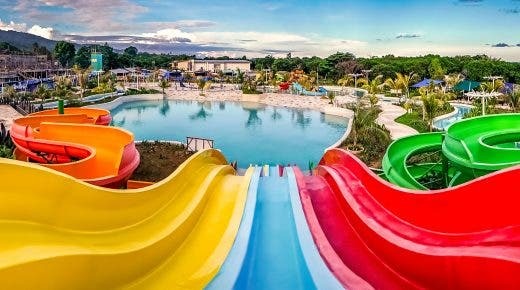 Astoria Palawan also offers a wide array of in-resort activities for travelers, like swimming in The Pod, which features an infinity edge that seems to connect to the Sulu Sea. 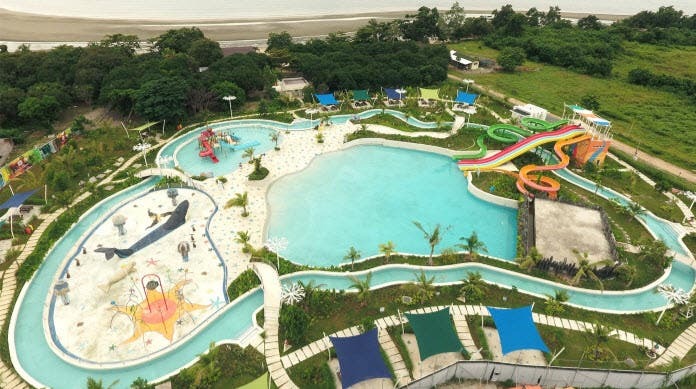 The pool also has a large section for sunken loungers and a separate lounge area for children. 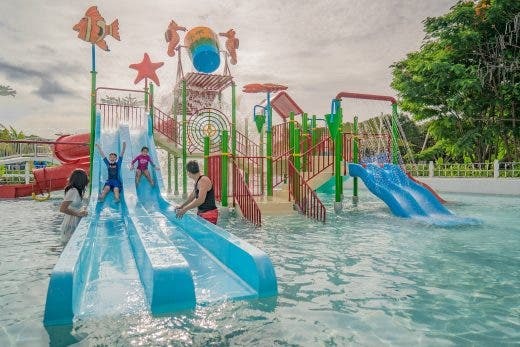 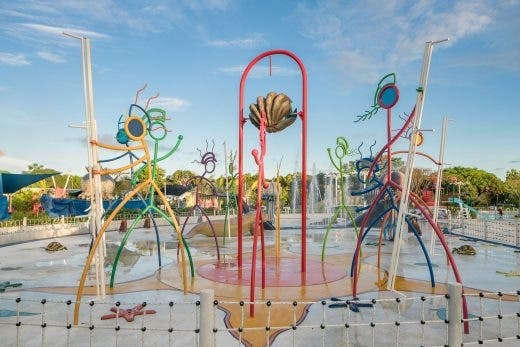 Astoria Palawan’s 1-hectare Waterpark has majestic water geysers, bamboo water cannons, splash pads, wave pools and stunning artwork of Palawan’s endemic flora and fauna and a 2-meter high corkscrew slide, which will surely provide endless fun for adults and children. 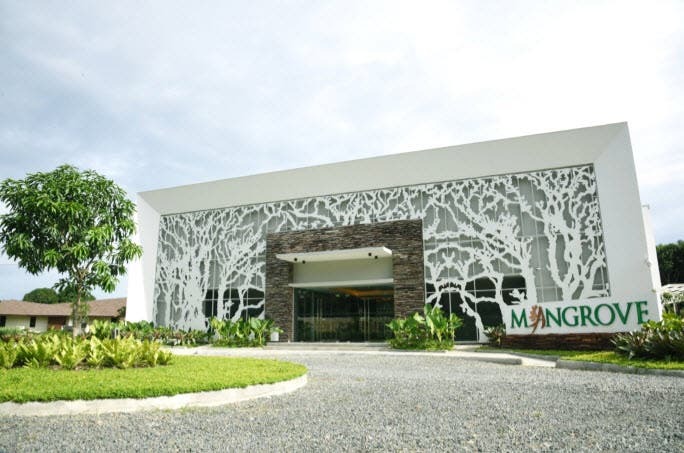 Mangrove Conference and Convention Center. 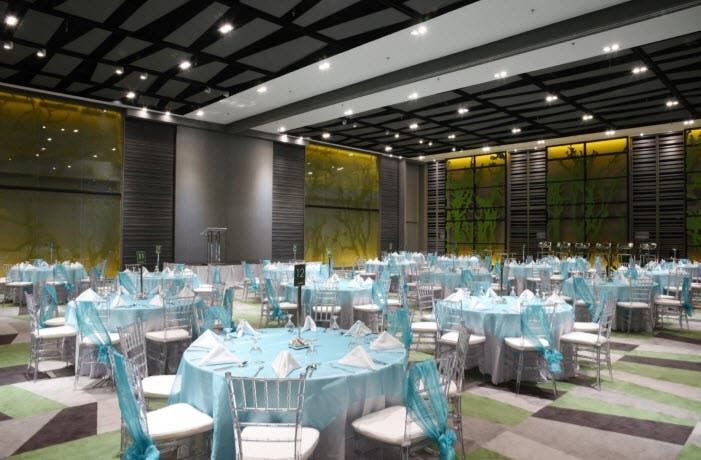 The completion of Mangrove Conference and Convention Center will accommodate the increasing demand for off-site meetings, incentives, conventions and exhibition venues from corporations and government agencies. 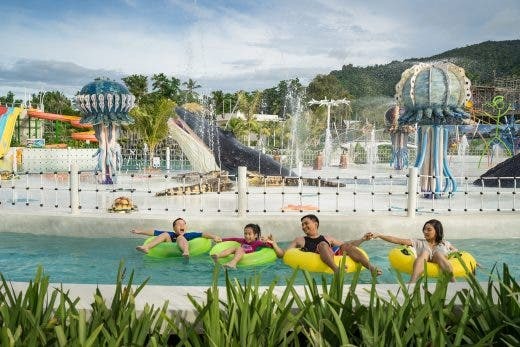 Astoria Palawan is poised to become the MICE venue of choice because of its strategic location and activities tailored to business events which combine work and play. 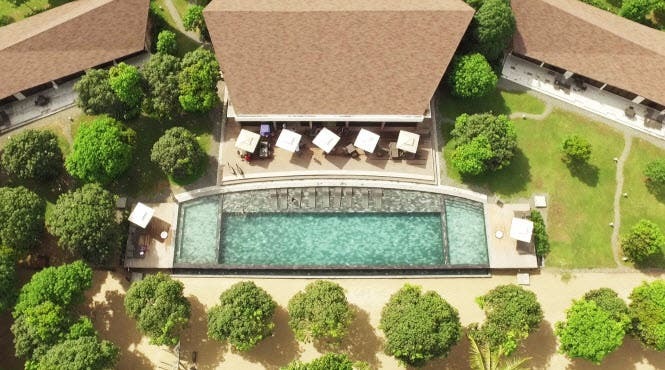 Two-bedroom Suite. 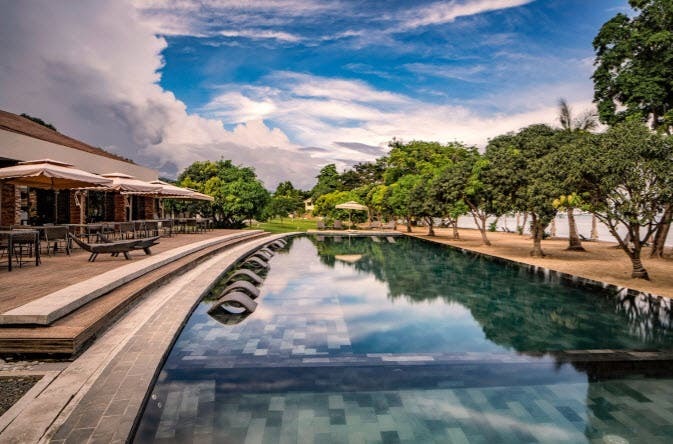 The resort has 13 leaf-inspired villas that house 72 rooms and suites available. 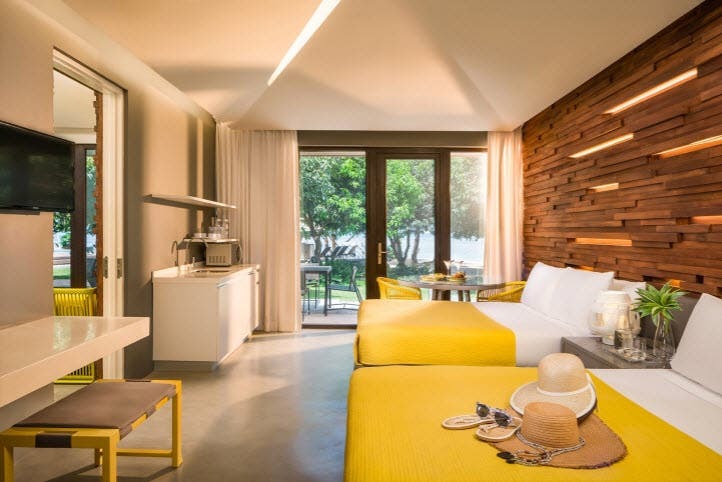 The deluxe rooms have floor areas of 38-sqm, 56-sqm for the one (1)- bedroom suites and 91-sqm for the two (2) bedroom suites. 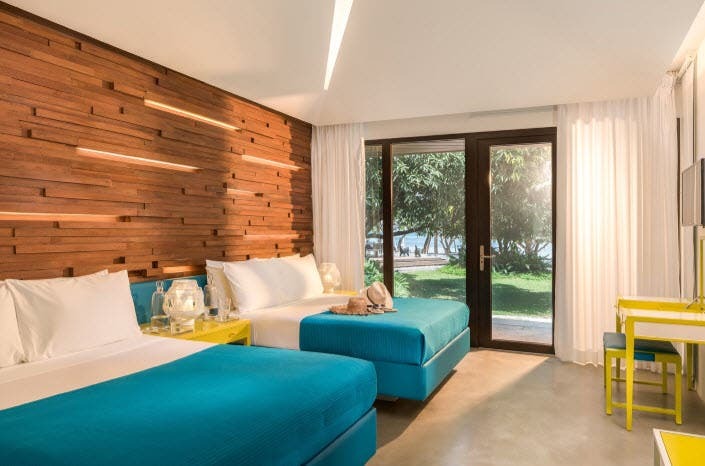 All suites come with individual climate control, LCD TV with DVD player and cable programming, personal electronic safe, personal refrigerator and modern bath and shower facilities with complete bathroom amenities.